Income Protection is a type of policy that covers you should you become ill and unable to work due to ill health. It is a type of health insurance cover. Does smoking affect my income protection policy? Yes, smokers tend to pay more for income protection compared to their non-smoking counterparts. This means that in the UK, there are approximately 10 million individuals (ASH, 2014) who are paying more for their premiums simply because of their choice to smoke. As expected, heath is a major factor that is taken into consideration when taking out a life insurance policy. It is a sobering reality but smoking is associated with many health-related problems. 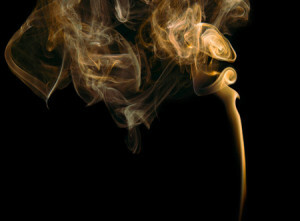 Recent statistics by ASH (April, 2014) show that every year, over 100,000 smokers in the UK die from smoking related causes, accounting for over one-third of respiratory deaths, over one-quarter of cancer deaths, and about one-seventh of cardiovascular disease deaths. For this reason, insurance companies view smokers as high-risk customers who are more likely to claim on their income protection policy and this risk equates to higher premiums for these smokers. How much will smoking raise your online income protection quote? Smokers’ premiums will vary depending on the insurance company, lifestyle variables, age and health but on average the cost is often up to 50% more when compared to non-smokers. Case study: A 29 year old, administration male worker earning £22,000 who smokes. £1,000 monthly instalment of income protection with a 13 week deferral period = £13.60 per month. Case study: A 29 year old, administration male worker earning £22,000 who does not smoke. £1,000 monthly instalment of income protection with a 13 week deferral period = £10.08 per month. How do income protection insurers define smokers? Most insurance companies define a smoker as someone who has used a tobacco product in the past 12 months. Usually they do not differentiate between different types of products such as cigarettes, cigars, or chewing tobacco. The same applies to user-habit. Irrespective of whether you are an occasional smoker or a pack-a-day smoker, the insurance companies view the health risks as significant for all smokers. Individuals are urged to respond to the insurer’s questions honestly and accurately because, if one is discovered to have been deliberately deceptive, (validated through medical records and medical examinations) the life insurance claim may be denied. Are you classed as a smoker if you use e-Cigarettes? In recent years, electronic cigarettes have experienced a surge of popularity with approximately 2.1 million adults in Great Britain currently using them (ASH, 2014). Although e-Cigarettes do not contain any tobacco, they do contain Nicotine. According to the Association of British Insurers said there is “a lack of medical evidence as to any long-term health benefits” regarding e-Cigarettes and added that “an insurer is increasingly likely to ask if the proposer is using nicotine products, as opposed to what is the weekly tobacco consumption”. Therefore to qualify as a non-smoker, individuals should be tobacco and nicotine free for over 12 months, including e-Cigarettes, nicotine patches and gum. The benefits of quitting smoking are plentiful. Not only does it increase health and fitness, it can also improve one’s bank balance. Not only will ex-smokers benefit from having more spare change from no longer paying for cigarettes, it can help decrease insurance premiums too. Quit smoking? What should you do next? If you have been smoke and nicotine free for a minimum of 12 months contact your insurer and you are likely to qualify for lower insurance premiums. However it may be advisable to compare income protection quotes with other companies to see if there are any cheaper alternatives available on the market. To lower your online income protection quotes, compare our commission free income protection.